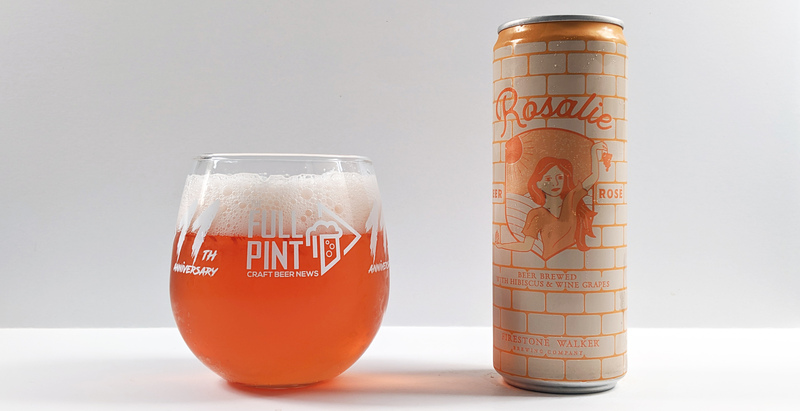 Rosalie joins Firestone’s core lineup this year along with Mind Haze IPA. Here is the official press release. Firestone even has a digital pamphlet on how this beer was made on the beer’s webpage. 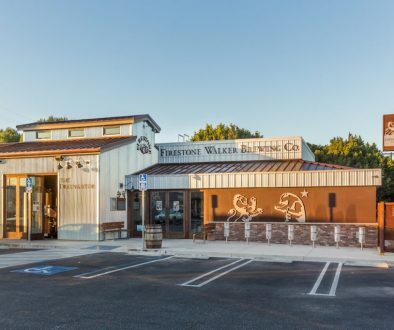 If you look through the pamphlet, Firestone takes a pilsner malt base and utilizes “subtle souring techniques,” then co-ferments the soured wort with wine grape juice. Hibiscus is then added to the whirlpool to achieve a pink color. 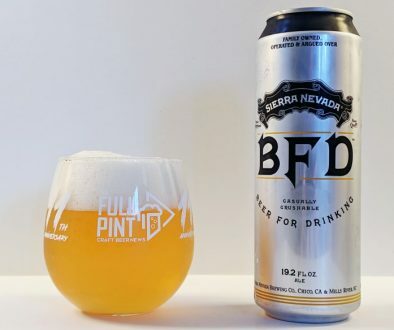 I’m sampling this from a 6-pack of 12oz “skinny” cans with a packaging date of 1/11/19 found on both the exterior of the paper carton and the bottom of each can. Into my glass, Rosalie is a crystal clear rosé wine color (get out!) that really doesn’t look at all like a typical beer. That peachy pink color is unmistakable in the wine world. Light pink foam erupts and nearly spills over the edge of the glass. But in typical sour beer fashion, it dissipates to nothing in less than a minute. 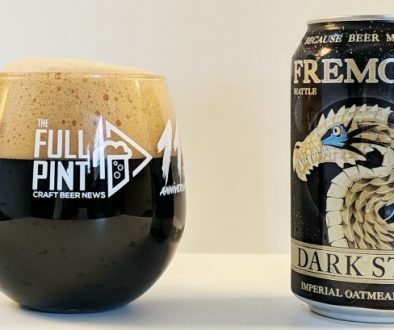 Immediately after pouring into the glass, there’s a distinct funkiness in the aroma that is typical for kettle sours, though Firestone doesn’t describe the beer officially as being such. It even comes across as a bit stinky, but that dissipates rapidly. As volatiles peter out, white strawberry, Bartlett pear, and red apple come through nicely. As it warms, Rosalie gains an even sweeter aroma of funfetti cake and frosted doughnut. Because the primary grape used is chardonnay, it doesn’t have too many rosé wine descriptors as that grape is almost never used in rosé. Rosalie’s flavor combination is quite interesting. My initial reaction is that it tastes like a 50/50 blend of fruity white wine with a kettle-soured blonde ale. Though Firestone doesn’t come right out and say it, Rosalie probably incorporates some sort of kettle souring technique with lactobacillus to create its acid profile. The website is intentionally vague on the process. The suspected kettle sour half of the drink imparts prominent lactic acid and some dairy-like creaminess that sticks around in the aftertaste. Acidic wine grapes nicely cut through that milkiness from the lacto with pear and red apple flavors. Overall acidity is still nicely tempered to a 4/10 whereas sweetness is similar. Despite so much fruit juice character, Rosalie is still fairly creamy and maintains a slick oiliness from the base beer. And because the flavor combination is so unique, I find myself constantly coming back for more to wrap my head around it. Rosalie was a tough beer to review as I constantly found my glass empty before finishing my note-taking. Its novel flavor combination is bound to make waves in the craft beer world and may even spawn some copycats from other craft breweries. Sure, Rosalie is not the first wine/beer hybrid that’s been made. But most others I can think of are either very sweet, very strong, or are barrel-aged specialties. For being an easy-to-find, low alcohol, firmly acidic beer incorporating so much wine character, I can’t think of another for sale. This hybrid sour opens up craft beer to a whole new audience. Acidity is modest, kettle sour funkiness is nicely muted, the mouthfeel is nicely creamy, and the wine grape character is robust. It indeed combines the best of two worlds into something spectacular.